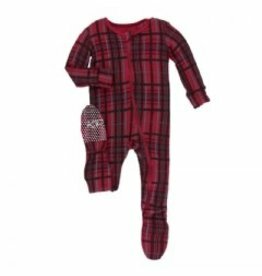 The Kickee Pants best selling footie features flip paws to cover cold hands and prevent scratching. The inside of the foot is lined with super soft fleece and the bottom is embroidered with our signature spots to prevent slipping. 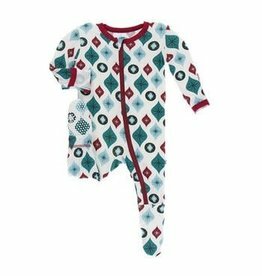 Pair with a swaddling blanket in coordinating patterns for a great gift! 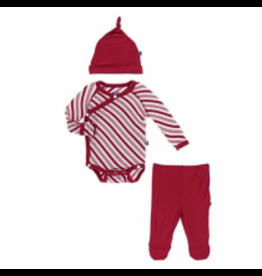 Sizes Preemie through 6-9 are the Classic (relaxed) fit, while size 9-12 months and up are snug-fitting.